GLOGIRLY: Winner, Winner, Chicken Dinner! WAFFLES: Winner, winner, chicken dinner! WAFFLES: Looking for the chicken dinner, Boss. So where's the chicken dinner? KATIE: You're supposed to be announcing the winners of our Happy Birthday Giveaway, not rooting around for chicken. WAFFLES: Yeah but what about the chicken dinner? I was told there would be chicken dinners. KATIE: Waffles, listen to me. There's no chicken dinner. WAFFLES: But what about all that 'winner winner' talk? All that chicken dinner talk? KATIE: Waffles, there IS no chicken dinner talk. Will you just announce our giveaway winners? WAFFLES: You mean the winners that don't win any chicken dinners? WAFFLES: No chicken dinner? What a ripoff. 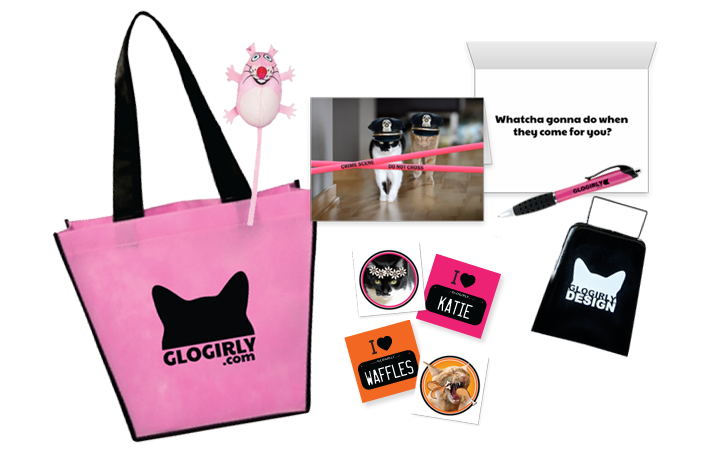 Our five winners will each receive a GLOGIRLY mini tote filled with special goodies. Still time to enter our Katris Giveaway! Concats to those winners. Our Mommy still loves her Glogirly tote and ink pens that we won several years ago. As for the chicken dinner, we think it's a ripoff that you didn't get one, Waffles! How exciting to win the special goodies! Thanks so much. Just an FYI, Waffles, I was hoping for the chicken dinner too. Concatulations to the winners! Although I do hope none of them were hoping for chicken dinners along with the prizes! I am so very excited. You tell Waffles that if he comes out here he can pick his chicken for dinner. My hoomans had chikken dinner tonite - and dey didn't share!! Once I stopped laughing........ Well done lucky winners!!! Concats to your winners and thank you for making us laugh as we crawl out of bed Waffles. Congratulations to the winners! 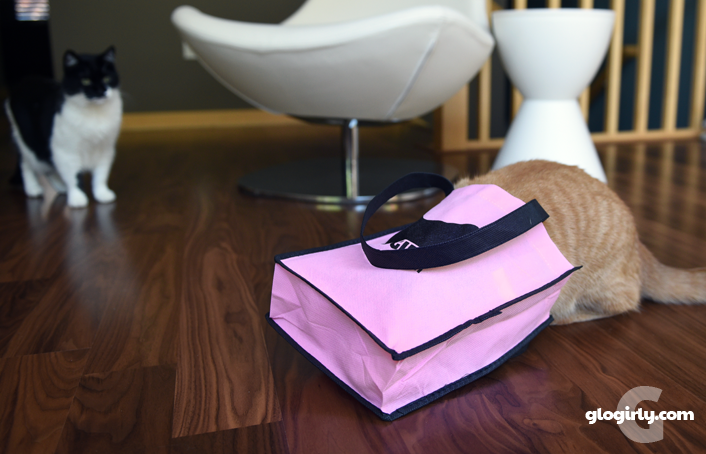 Waffles, maybe you could slip a drumstick into each of those tote bags. Congrats to all the lucky winners! And I hope Waffles gets his chicken dinner. Oh those are very lucky winners. Did they also get a chicken dinner? With Waffles?! ConCats to the winners. We think they will LOVE their prizes even if there is no chick-hen dinner. Great post! And concats to the 5 winners. Concats to those lucky winners! Mom has one of those pens and loves it! It's her favorite one! We would love to have a chicken dinner with you, Waffles! OMD, no chicken dinners?! That's false advertising, Waffles. You should sue! 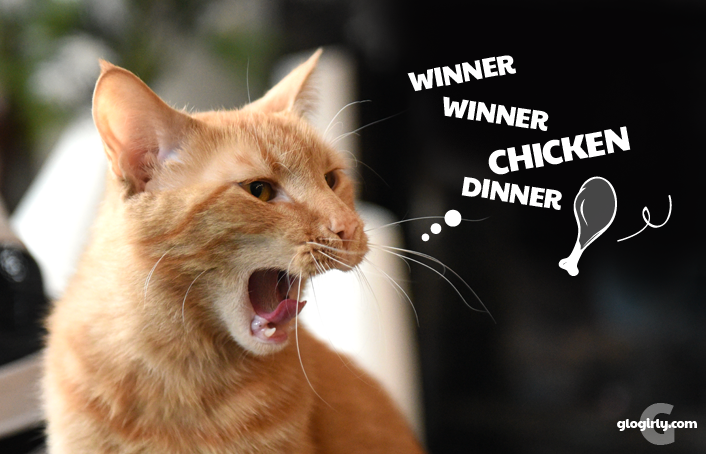 Concats to the winners...Waffles..doing all that announcing stuff should at least get you some chicken treats! Congrats to the *very* lucky winners! 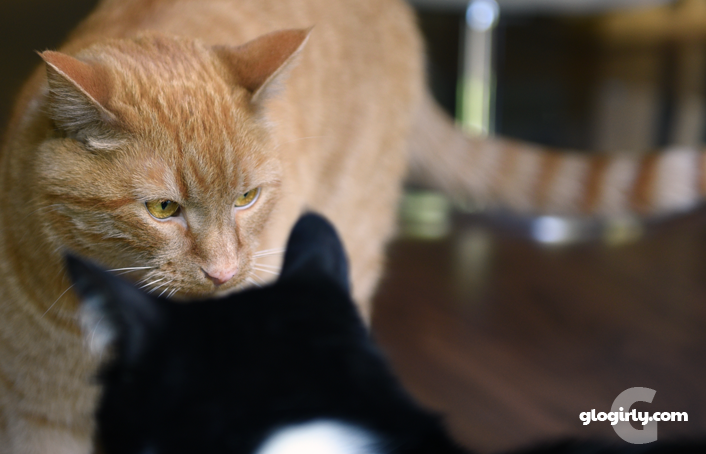 Waffles, I hope you get a chicken dinner out of all of this, MOL! Congratulations to the winners! Yea to everyone who entered. Concats to all the winners! Sorry you didn't find a chicken dinner Waffles. ConCats to all da winners. Hope you guys get sum chicken dinner soon. MOL Have a gweat day. Waffles, if you want chick-hen dinners, come on over to my blog. I got a few dozen for you and Katie and the Glopeeps too! Wags, Wags, wags! WEEEE are so happy! Since our Glogirly bag got stolen at the Westin, life hasn't been the same. Don't worry Waffles, a KFC bucket will fit just fine in that bag. There WILL be a chickyum dinner.